The photo of actor starring in SBS Wednesday and Thursday drama Rooftop Prince, Lee Min Ho, dressing in neat and tidy suit was made public. On the afternoon of April 4th, 2012, Lee Min Ho tweeted on his Twitter account, “Today is the day of broadcast for Rooftop Prince, today is really the best, please stay tuned, the show begins 9:55pm,” and uploaded a photo. In the photo, Lee Min Ho cut the ‘Joseon Dynasty-style long hair,’ showing a dignified image. In particular, the dressing in a suit gives a competent and urban feel. Netizens commented on the photo,”Looks like a VIP,” “Rooftop Prince is getting more and more interesting,” “Welcoming the genius of Joseon Dynasty, Song Man Bo,” and etc. 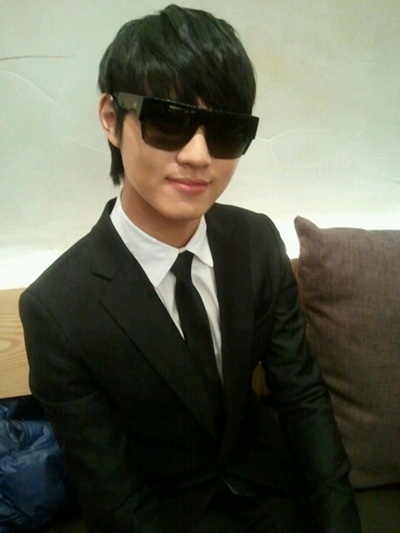 Lee Min Ho is starring in Rooftop Prince in the role of Song Man Bo, receiving enthusiastic response.